A year after an elderly couple was killed inside their dream home in St. Thomas, Jamaica, their daughter says she has forgiven the people who killed her parents so that her own life can go on. A year after the brutal killings of Melbourne and Etta Flake in Jamaica, their daughter Debbie Olfert says she's found a way to live by forgiving her parent's killers. Melbourne, 81, and Etta, 70, were found dead in "their dream" vacation home in St. Thomas, Jamaica, on Jan. 9. Olfert said her father was only a few cabinets away from completing the house he built from the ground up. The killers, Olfert was told by Jamaican police, did it for the small amount of money they got from her parent's bank cards. "They did a horrible horrible thing," Olfert said. "I forgive them so that my life doesn't become poisoned. Revenge is like drinking poison hoping somebody else will die, and I can't wish any more ill on them. They're in jail, so that's where they belong, and that is a comfort." She hasn't forgotten the excitement in her father's voice when he called for the last time on Jan. 9 of last year. She was driving, so he abruptly ended the conversation, promising to phone her back. "That call never came, so I knew that they were murdered the 9th, the evening, because he never called me back. He always called me back and they found them on the 10th," she said. Days later, she and her husband walked through the crime scene in order to identify her parents. "They would like to say it was a burglary, but what they did to my mother? I couldn't recognize her at the autopsy. What they did to my dad, an old man in his 80s? They bashed him in the head. They were good, kind people, in their later years," she said through tears. A young man who used to work for her father, building the house, and his girlfriend were arrested and have been in jail since last January, Olfert said. One man has been taken into Police custody in relation to the murder of Melbourne and Etta Flake in Retreat,St.Thomas on Jan.9. Jamaican police told her they were looking for a third suspect, but information beyond that, from both Canadian and Jamaican authorities, has been scarce. "When will [there] be a trial? When is a hearing? We don't have any idea. We have no clue. We know that they're looking for a third. We haven't even been given that person's name, what they look like —​ nothing." 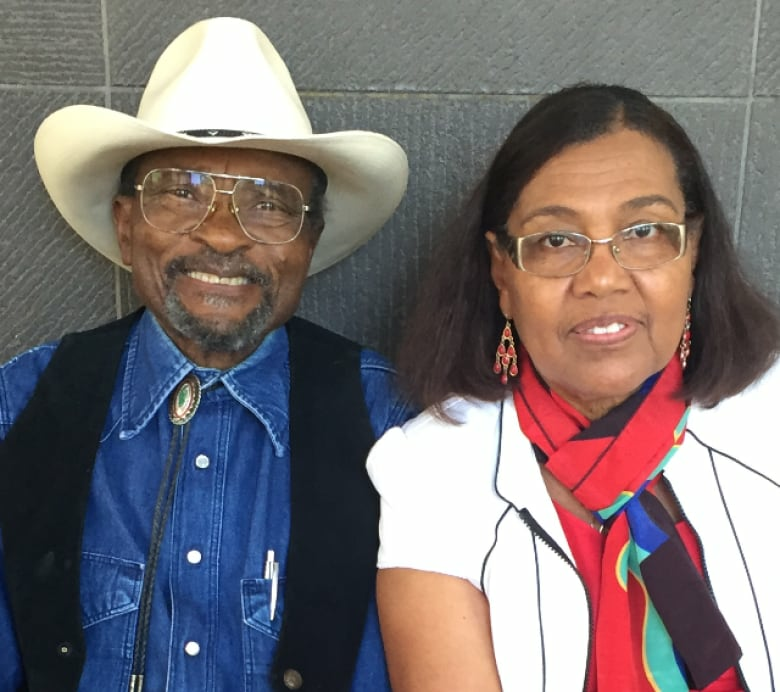 The family moved 50 years ago from Jamaica to Canada when Olfert, the eldest of five children, was two, and made Winnipeg their home. Melbourne, a carpenter, worked for the Department of National Defence for 25 years, and Etta was a nurse on the maternity ward at Victoria General Hospital. 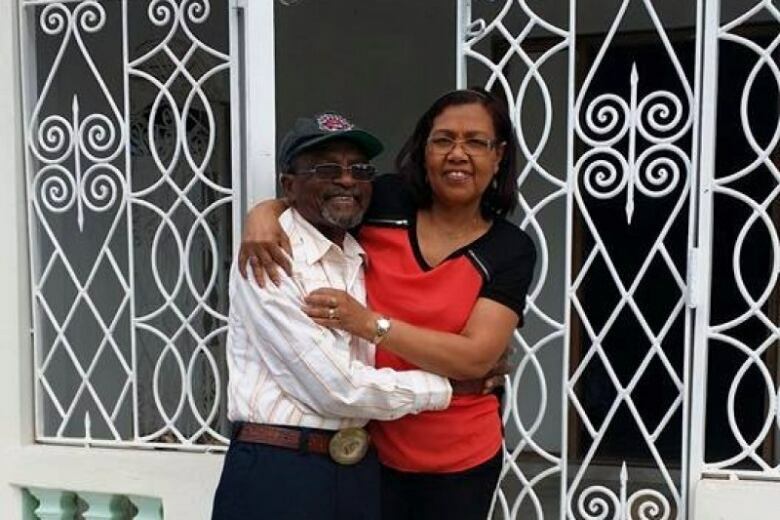 Both worked hard all their lives, even beyond retirement, to provide for their family and save to fulfil their dream of wintering in Jamaica, their daughter said. "He poured the cement, did the rebar, the walls — everything. He designed the — I call them burglar bars, but he always got mad at me. He said, really, it's grille work. So he designed the grille work. Himself, he painted it. It was his pride and joy. He loved it there," she said. "His voice, when he called me from Jamaica, was that of a young, vibrant kid, really. He was so happy there." The deaths have devastated her siblings, she said, who cycle through the stages of grief as well, and robbed 13 children of their grandparents. "I'm only now just starting to connect with the feelings," she said. "I was afraid that if I started to cry, I would never stop. I come to realize that tears are healthy and it's fine. It's OK to cry but sometimes you need to, if you need to seek out help, you just need to do it." Her faith, and a question from someone on a retreat with her in California, helped her out of the depths of grief and anger. "'Did you forgive them?' And I said, 'Well no, not really.' 'Well you might want to consider that,'" she said the man said. "So we prayed, and the Holy Spirit gave me that ability to forgive them." Some of her siblings will never set foot on the island of Jamaica again, she said, but she plans to, as soon as she knows when the trial will be. She knows with Jamaica's poverty comes violence and desperation, but she loves the country, the language, the food and the "tenacity of the Jamaican people." Her relationship with her parents had grown even stronger before they left for Jamaica in November. She'd just forgiven her father for difficulties in her childhood. In her father's hug before he boarded the plane, she felt there was promise they'd be close. "And that was taken away — gone, snuffed out. Thoughtless — for a little bit of money," she said. The temptation to be angry and bitter is strong, she said, and she still experiences bouts of extreme sorrow, anger and regret. "I don't want to go to the dark side. I want to stay in the light."